Whole school partnership April 1-3 with UCPS library North Carolina Sharing equipment: ozobots, osmo, dot & dash, ipads, VR google viewers. K - 1st Grade This class gives your children the opportunity to learn, discover, and be amazed by programming computers, building robots and learning teamwork skills. Our goal is to teach kids basic Engineering & Computer Programming Skills and facilitate the development of 21st Century Learning Skills; and their higher cognitive skills, while giving them the opportunity to discover and develop their natural abilities. 2nd - 3rd Grade This class gives your children the opportunity to learn, discover, and be amazed by programming computers, building robots and learning teamwork skills. Our goal is to teach kids basic Engineering & Computer Programming Skills and facilitate the development of 21st Century Learning Skills; and their higher cognitive skills, while giving them the opportunity to discover and develop their natural abilities. 7 - 14 Years Old This class gives your children the opportunity to learn, discover, and be amazed by programming computers, building robots and learning teamwork skills. Our goal is to teach kids basic Engineering & Computer Programming Skills and facilitate the development of 21st Century Learning Skills; and their higher cognitive skills, while giving them the opportunity to discover and develop their natural abilities. Bring your robot and join us for an informal evening of robot building. Get help with your robotics project or help others. 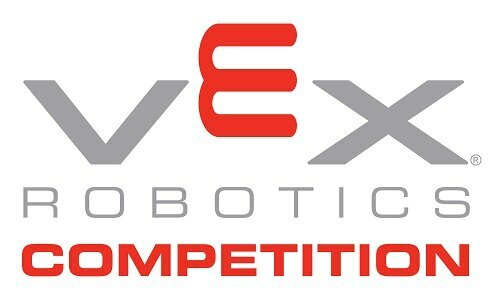 In the VEX Robotics Competition, presented by the Robotics Education & Competition Foundation, teams of students are tasked with designing and building a robot to play against other teams in a game-based engineering challenge. The Delaware Technology Student Association (DETSA) State Conference will held on April 3-4, 2019 with nearly 1000 students, advisors, and judges from up to 58 chapters will participate with nearly 1746 total contest entries in 62 contests. LEGO Enthusiasts will build a new creation every week and learn coding on an IPad. Fun functions like sensors, sound effects and moves will bring these new robots to life! There will be 8 students per class and teamwork will be strongly encouraged. All classes will take place at Eastham School with each session lasting 1 1/2 hours for 5 weeks. Campers will learn about robotics, using LEGO Mindstorms, and coding, using EV3 visual programming language. The goal is to understand how to program the LEGO Mindstorms, complete tasks like the Roomba, and learn about autonomous robots. Every student will storyboard and present their project at the end of the day. The North Carolina Technology Student Association (NCTSA) will hold its 4oth Annual State Conference April 3-5, 2019 at the Sheraton Four Seasons Hotel, Greensboro, NC. The State TSA officers and the State Technology, Engineering and Design Education staff invite and encourage all affiliated chapters to attend and participate to make this the best conference yet. Another fabulous networking event! Bring your robot or robotics-related project cause demos are awesome. Looking to hire or be hired in a robotics-related company? Have something to offer to robotics startups? We do announcements and introductions. Big thanks to our great venue and food/drink hosts [TBC] who will be showcasing some amazing new technologies. Robofest is a festival of competitions and events with autonomous robots that encourages students to have fun while learning principles of Science, Technology, Engineering, and Math (STEM) and Computer Science. Students design, construct, and program the robots to compete in the Junior Bottle Sumo and Senior Bottle Sumo Classic categories. We're crushing misconceptions and shaking up the way students look at manufacturing. Watch student-built robots in a battle-to-the-finish for the title of 2019 BotsKC Champion! Witness 49 teams from the Kansas City area battle it out in this double elimination tournament. This event is open to the public and FREE! Robot City Workshop’s Day Off camp is another full day of fun for your child. Check out the two awesome robots students will build during this day. 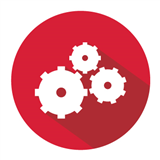 This event is sponsored by The Speedbots, a team of homeschooled students who are competing in First Lego League Robotics competitions. They will exhibit their work during the science fair and explain more about First Lego League Robotics. Team Overdrive, FTC robotics team will also demonstrate as well as Bits Bots and Beakers of Central New Jersey. All are welcome to attend! Robot experts and startup founders in the LA area will discuss trends in robotics at our second annual event, part of National Robotics Week. Robofest is a festival of competitions and events with autonomous robots that encourages students to have fun while learning principles of Science, Technology, Engineering, and Math (STEM) and Computer Science. Students design, construct, and program the robots to compete in the Junior Exhibition and Junior Game categories. FIRST Tech Challenge team 7802, Challenge Accepted, will be providing a robotics experience and demonstration for Scouts attending Scouts Rock at Graceland. Recruit Training Command is excited to invite you to their 2019 Regional SeaPerch Competition! Middle School and High School students region-wide are invited to attend the 2019 Regional Navy Great Lakes SeaPerch Competition, hosted by Recruit Training Command, the Quarterdeck of the Navy! 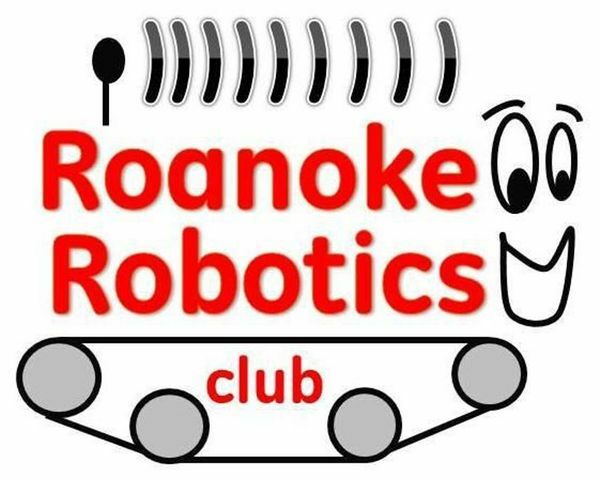 Local robotics clubs will be exhibiting their robots for the attendees of RavenCon from 9-11am, Saturday morning. 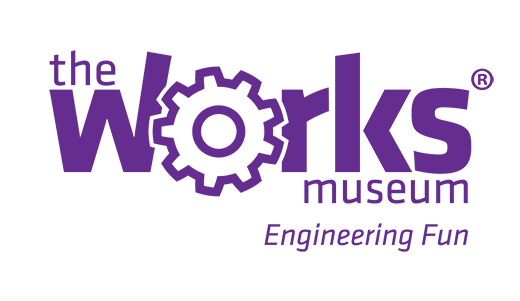 RavenCon is a science fiction convention that will be held April 5-7, 2019. Gear up for four days of robotics events! 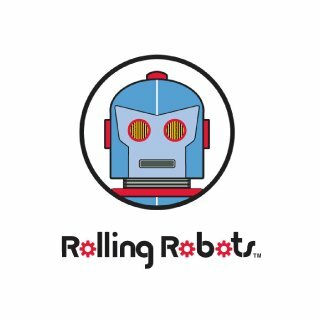 Celebrate National Robotics Week by checking out the cool ‘bots designed by Chicago-area student and amateur teams, and interacting with some state-of-the-art robots. Robots and times will vary. Engineer It! is an annual engineering design competition jointly presented to students in grades 1st - 12th by the Florida Engineering Society & the South Florida Science Center and Aquarium. $5,000 in cash and prizes awarded to winners in elementary, middle and high school categories! Special prize for the school with the most participants. Science Center educators will be on-site with exciting live science demos, activities and more to entertain family members and general guests. 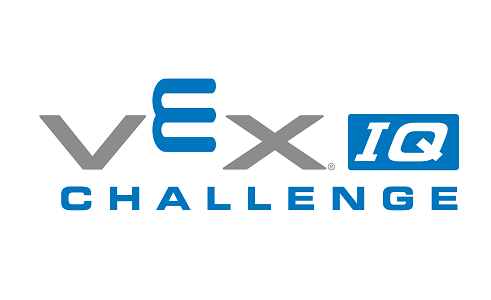 The 2019 Mineral Area VEX Challenge is an event that takes place during the annual Robot and Technology Expo on the campus of Mineral Area College. It is an opportunity for youth to demonstrate their learning, celebrate their accomplishments and interact with others who share their interest in robotics and programming. The Botball® Educational Robotics Program engages middle and high school aged students in a team-oriented robotics competition, and serves as a perfect way to meet today’s new common core standards. Students use science, engineering, technology, math, and writing skills to design, build, program, and document robots in a hands-on project that reinforces their learning. Lots of great BOT BATTLES!!! The event is free (goodwill donation accepted), open to the public and fun for the entire family. Learn how animals work through larger than life sized robots. Robot Zoo is at the SAC Aerospace Museum now through May 10, 2019 and is included with general admission to the Museum. 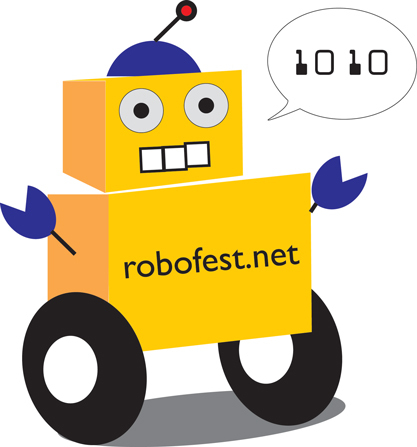 Robofest is a festival of competitions and events with autonomous robots that encourages students to have fun while learning principles of Science, Technology, Engineering, and Math (STEM) and Computer Science. Students design, construct, and program the robots to compete in the categories of Junior Game, Junior Exhibition, and Junior Bottle Sumo. Robofest is a festival of competitions and events with autonomous robots that encourages students to have fun while learning principles of Science, Technology, Engineering, and Math (STEM) and Computer Science. Students design, construct, and program the robots to compete in the Junior Game category. Watch first-year engineering student teams compete to see which team has designed, built and programmed an autonomous robot using creativity and engineering principles to complete specified tasks on a course designed and built by the program’s teaching assistants. First-year engineering students will showcase their cornerstone design projects in the Fundamentals of Engineering for Honors Program (FEH) at Ohio State University. The single-elimination tournament of the competition will start at 4:15 p.m. Doors will be open for the round robin tournament, which begins at noon. Parking is available at the Neil Avenue Parking Garage or the Tuttle Park Place Parking Garage at an hourly rate. Missouri 4-H Robotics & STEM Challenge, University of Missouri 4-H Center for Youth Dev. The Missouri 4-H Robotic & STEM Challenge will allow 4-H members in the Robotics & STEM projects an opportunity to showcase the skills they have gained in teamwork, engineering, programming, and problem solving. Robotics challenges, computer science projects and STEM exhibits will be featured. Hands on activities for spectators. MakerX The Columbus Maker Expo is a festival of creating with technology. It is suitable for all ages and will take place on Saturday, April 6, 2019 in the Buckeye Building of the Ohio Expo Center (aka State Fairgrounds). The Wellesley STEM Expo is a hands-on science, technology, engineering and math (STEM) exposition including a speaker series, hands-on exhibits, workshops and a student work showcase – transforming Wellesley High School into an interactive science center for a day. In addition to the Expo itself, there are a series of events leading up to the big day, and several exciting events afterwards. Each year we will announce a new challenge for the competition. This year, the challenge is Nature's Fury. Teams must build robots to compete in the challenge and complete a research project related to the challenge. During the competition, teams may also appear before panel of judges. Please join us for the SeaPerch ROV Challenge at USNA. Teams will build their kits at their schools and then come together for these SeaTrials with schools from across Maryland. This camp features our famous BattleBot championship, where student-made robots "battle to the death"
The Robotics 101 class is a great introduction to robotics and programming using Wonder Workshop’s Dash robots for kids, grades K-2. Students will build, program and play to get a good understanding of how robotics work. The goal is to let kids be creative, learn to troubleshoot and discover how robots can be fun. In this introduction to robotics, we use LEGO EV3 robots to learn about making and saving files, building robots, and programming robots to solve problems and challenges. Recommended for ages 7-13 and those with reading and keyboarding skills. $30 per participant. Visitors are greeted by Pepper the Robot. Come talk with, and take selfies with, Pepper. The fun includes Robots and coding demonstrations, hands on exhibits with the robots and their humans. Featured robot platforms include: iRobot Create, Arduino, Raspberry Pi, MicroBits, Elegoo robots, Parallax BoEbot, Cosmo, Dash, Lego, and Dexter robots. Live hands on demos include First Lego League Robot teams from the local schools. Come dressed as your favorite robot. Bank of America members with a valid ATM card and photo ID can get one free admission ticket (galleries only) on the first full weekend of every month. The Tech Museum of Innovation is a family-friendly interactive science and technology center located in the heart of downtown San Jose, California. It has become a landmark for visitors seeking a glimpse of the most inventive place on Earth — Silicon Valley. The 6th annual Southern Illinois Robotics Expo will be held at the MVTHS Career Center April 6th. An open Lego Sumobot competition will start at noon. Any team may compete. Rules are the robot must be made entirely of LEGO products and be able to fit into a 25cm cube. Robots must not weigh more than 1400g. Robots must use only 1 brick. The MVTHS Roborams will be showcasing their robotics programs. Visit your local community robotics team and their headquarters. Check out what they have been up to and learn how you too could join in on the hardest fun you will ever have! Kick off RoboWeek 2019 with Red Nation Robotics and The MUSE Knoxville! 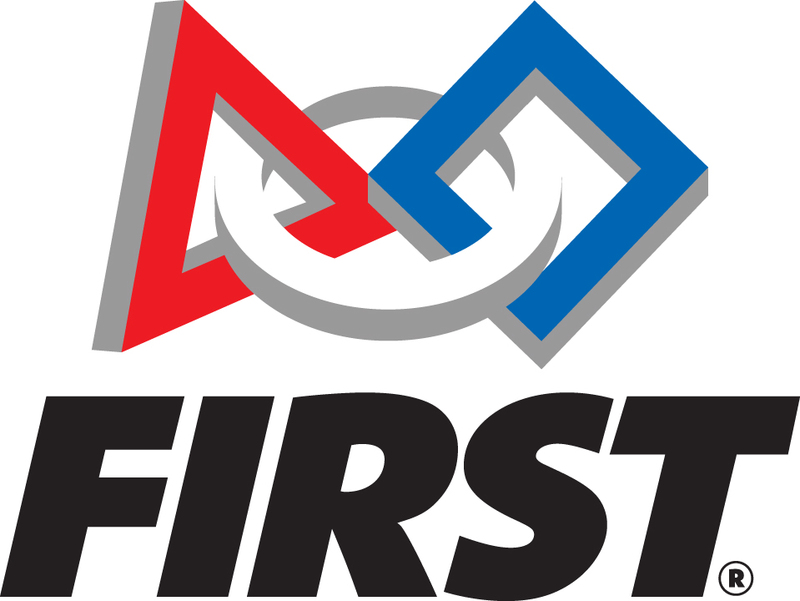 Celebrate National Robotics Week 2019 with Quad City area FIRST Robotics teams! FIRST LEGO League Jr. Expo from 12:00-2:00 including demonstrations from local FIRST LEGO League, FIRST Tech Challenge, and FIRST Robotics Competition teams. Free Class Sign Up Now! FIRST COME FIRST SERVE!!! ONLINE registration only. 20 years of experience in the Tech industry, Our FREE Class program was created as a way of giving back to the community and inspire kids to engage and embrace STEAM. ​ We provide them with the state of the art tools and equipment for a fun and hands-on environment. Let us encourage and aspire our kids to explore the world of Science, Technology, Engineering, Arts and Math. Makersgeneration organises for you this small after-school robotics for kids in Washington DC. The main topicswill be: - Introduction to robotics - Introcduction to coding - How to build a robot - intro to 3d printed robot Come join us with your kids for a great time of robotics in the DMV. We have robots that you can program and are offering a free session of coding for first time visitors. The Laramie Robotics Club invites middle and high school students from the Laramie area to engage in fun and exciting programming and robotics activities. We will be programming basic robots as well as a bunch of fun activities such as game design and graphics. Prepare for the BattleBots competition (starts April 12) by watching four of the best fights from last season! Enjoy our BBQ dinner (vegan options available) Find out what a MakerSpace is. Sign up to be a member, or just enjoy the good company. Find out what BattleBots is about. Eat good food! Join us for National Robotics Week as we host an open house! Gain some hands on robotics experience for grades 4-12, view robotics demonstrations, tour our center, and get information on our different programs! Come out and see what the K-4th grade teams have done during the MISSION MOON FIRST® LEGO® League Jr Challenge. The event will give you the chance to chat with coaches and celebrate what everyone has learned through their experiences with the FIRST LEGO League Jr program. The 2018/2019 MISSION MOON challenge explores that problems that humans will have to live on the moon. Teams will design and build their own LEGO Moon Base and rocket ship and incorporating WeDo 2.0 LEGO elements to showcase the problems and solutions that they have come up with as a team. Robofest is a festival of competitions and events with autonomous robots that encourages students to have fun while learning principles of Science, Technology, Engineering, and Math (STEM) and Computer Science. Students design, construct, and program the robots to compete in the categories of Junior Game, Junior Bottle Sumo, and Senior Bottle Sumo Classic. The TIE Conference features technology as a powerful tool to leverage learning. Over two and a half days, educators attend sessions designed to provide a “booster shot” of strategies to engage students with relevant technologies paired with the best practices of learning. Maker Faire is a gathering of fascinating, curious people who enjoy learning and who love sharing what they can do. From engineers to Robot Makers to artists to scientists to crafters, Maker Faire is a venue for these "makers" to show hobbies, experiments, projects. Shared Science will host the 7th Annual Robo-Tech Festival in celebration of National Robotics Week 2019 on April 7th at Long Beach City College. Shared Science advocates for STEAM educational learning opportunities within the Greater Long Beach area. On April 7, 2019, parents and children of all ages are invited to join us on the Long Beach City College campus from 11 a.m. to 4 p.m. to tinker, make slime, operate robots, attend hands-on workshops, and explore their interests in robotics, science, technology, engineering, art, and math, at the seventh annual ROBOTech Fest. Workshops will focus on engaging youth in science and technology in a fun and creative manner. Watch students from the VEX IQ Robotics class participate in an exhibition. These 4th to 6th grade students have been working for 8 weeks and will "compete" on the 2019 Next Level board. Come check out an easy to use robotics system that might be interesting for your student. MEETUP: Our third "Find, Form, Grow a Robotics Team" hosted by Exit 5A Robotics (Livingston Robotics Club). Goal of this meetup is to connect families with like-minded families looking to form a robotics team. Also opportunity to connect those looking for a team with teams looking for new team members. Age range K-12. SIGNUP / RSVP AT: https://goo.gl/forms/APfPYhxMn0dWdAPx2 The 1st two events Jan & Feb had over 45 families and 100 people attending. Three robotics teams (2 FLL, 1 VIQ) formed from these meetups. WHO THIS EVENT IS FOR: *Families looking for like-minded families to form a team with. *Families looking to join a team *Teams looking to add new team members (team cannot be part of a for-profit organization) Event is open to any competitive robotics venue including (but not exclusively) FIRST Lego League FLL, FIRST Tech Challenge FTC, FLL Junior, World Robot Olympiad (all categories), VEX IQ VIQ, VEX Robotics Competition VRC, RoboCup Junior (all categories), Botball, MATE, etc. At this event, Exit 5A Robotics will be running fun activities to help connect families & teams. Event is free and open to families from north and central NJ. Exit 5A Robotics is part of the non-profit organization Livingston Robotics Club. RESTRICTIONS: 1. If you are a for-profit organization please refrain from attending. 2. All children MUST BE ACCOMPANIED BY THEIR PARENT OR GUARDIAN at all times during this event. This is not a dropoff event. The tenth annual National Robotics Week event will be held April 6-14 2019. Georgia Tech’s open house will be held from 9:00 a.m. to 3:00 p.m. on Monday, April 8th. Since the launch of National Robotics Week in 2010, Georgia Tech has participated annually in the event by sponsoring an open house and conducting lab tours and robot demonstrations for middle and high school students and other members of the community. Sponsored by Georgia Tech’s Institute for Robotics and Intelligent Machines (IRIM), our 2019 event features demos of new robots and labs, including the Robotarium. FHSU is hosting our 13th annual Lego robotics competition. The competition is open to all area middle school students (grades 5-8). In this exciting STEM camp, students will learn to design and build robots using Lego MindStorm. With multiple levels to challenge experienced builders and basic instruction for those new to Robotics, this is a class for all levels and students who are 6-12 years old! This one day preparatory class is usually offered on the Monday preceding our Maintenance Training or Flexible-Teach Software Training Course. This Class will help familiarize new Yushin users with the basic robot safety, functions and operation. Kindergarten and first grade students will be introduced to Cubetto the coding robot through a maze of different landforms to celebrate Earth Day! Some 60 students from Thomas Jefferson and Woodrow Wilson middle schools in Edison packed a room at the Amazon fulfillment center Monday to build robots and celebrate National Robotics Week. Tours at iRobot are about an hour and focus on our Cool Stuff Museum. You will learn what our robots do, why they have those tasks, and who works on robots. We talk about our evolution here and our history. We will also try to have a robot demo for you. You will not see labs, workspaces or test areas on the tour, however, we do visit our Family Innovation Lab - a public space used by our engineers as a makerspace. We have Open House every Monday from 6-8pm. This is a great time to check out the Makerspace and talk to members. If you can’t make it to open house, you can attend an upcoming event or contact us via Facebook or email to set up another time to stop by. Visitors will talk about the robots, what they do, and the amazing technology that makes them work. Kids will get to see the cool things you can do with a STEM education. Open house at Manchester Makerspace. Come see our new metal- and plastic-working equipment! MHT Makerspace works with First Lego League and hosts a number of classes open to the public, including Intro to Robots and programming training. The Department of Engineering at Texas A&M University – Corpus Christi (TAMU-CC), is organizing a series of STEM-related outreach events for middle school students on April 9th, 2019 to celebrate National Robotics Week 2019. The events will be held at the I-Create MakerSpace located on the second floor of the Mary and Jeff Bell Library at TAMU-CC. Registration is free, but required; space is limited. No prior experience with robotics is required. Come, enjoy and learn to use STEM-Tronics platform! STEM-Tronics camp gives the opportunity to learn and use state-of-the-art technologies that can be combined to create different Electrical Engineering projects related to Automation, Mechatronics, Wearables and Robotics (for example, LED clothing, fire and car alarm systems, wireless communication networks, sound reactive systems, music devices, mini robots, GPS tracker, etc.). Students will learn to assemble each of the electrical components and make the systems work properly. SC West is THE largest converged security industry trade show in the U.S. At ISC West, you will have the chance to network with over 30,000 security professionals through New Products & Technologies encompassing everything from access control to drones & robotics from over 1,000 Exhibitors & Brands. Springville 1st grades are creating problem solving robot prototypes as part of a full design process project. They designed a robot to help solve a problem for others. Artaic uses robotic technology and innovative design tools to customize, design and fabricate award-winning mosaic installations. By combining modern technologies with this historic art form, the Artaic team is passionate about the creation of architecturally significant mosaics for any size project. We are hosting an Open House in our brand new facility. Stop by to interact with our robots, and experience the latest research at Northeastern University's Robotics Labs. 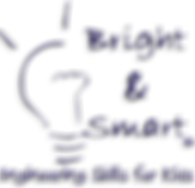 We are an independent, non-profit organization serving as the innovation hub for robotics and connected devices. Through our programming and events, we help bring together innovative startups and existing technology organizations to nurture the next generation of talent and promote economic growth and innovation. By working with diverse local talent, we are helping to bring about the next global evolution of robotics. Our showcase will feature over 50 hands-on exhibitor/demonstrations featuring Ipswich PreK- Gr.12 Students,Teachers, and local STEAM Businesses highlighting the power of STEAM EDUCATION and STEM Career Pathways! Last year, over 400 attendees experienced how the power of STEAM Education engages students to use critical thinking and creativity in our classrooms, as well as problem-solving and innovation in business and industry. Area high school students develop programs at their school and then come to the University of South Dakota to show how well their programs work. Self-paced tours of 20 labs such as Robotic Embedded Systems Lab, Human Centered Robotics Lab and more are available on USC campus. This event includes interactive demos of USC Robots. There is an opportunity of demo and talk by USC’s VexU team (SoCal Champions). Homeschool 4-Week Course | Robotics 🤖 Homeschool Course | 4 weeks | Robotics | Game Design | Edmond STEM $120.00 Class Start Clear 1 ADD TO CART SKU: N/A Categories: Homeschool, Archimedes (K, 1st, 2nd), Bernoulli (3rd & 4th), Curie (5th & 6th), DaVinci (7th & 8th), Fall, Spring, Summer, Winter, Game design, Robotics, Edmond techJOYnT DescriptionAdditional informationProduct DescriptionAbout This Course In game design, students design and create games. They learn computer programming skills, problem solving, and critical thinking. Students use their creativity and imagination to create their own unique and original games. In robotics, students build and program robots. They use the engineering design process to build their robots and they program them to move, pick up cans, avoid obstacles, follow a line, go through a maze, use sensors, etc. FRC #4360 Spudnik Robotics held an outreach event at Moorhead Highschool where students got to test out their robot driving skills. As part of the Woods Hole Oceanographic Institution’s Center for Marine Robotics, DunkWorks is a rapid prototyping and additive manufacturing facility with an intentional focus towards accelerating the path of technology to the ocean. As a member-based facility in the heart of Woods Hole, internal technical and scientific staff along with external innovators, inventors, and small companies can utilize the tools in DunkWorks. Membership also provides access to inside WHOI and to the expert marine technologists and machinists therein. Learn more at www.whoi.edu/marinerobotics. Girls from primary and high schools in Cote d'Ivoire will program and compete with they robots. 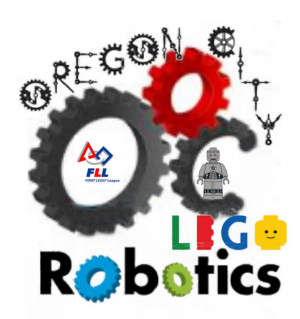 Tour the NWDL robotics lab, meet the our robotics teams and students, design and build robots using Lego MindStorm. Ages 9-14. Students will demonstrate how to use block coding to program Dash the robot. Families will participate in an robotic engineering project to create a robotic hand. SoutheastCon is the annual IEEE Region 3 Technical, Professional, and Student Conference. As the premier conference for the IEEE Region encompassing Jamaica and the Southeastern United States, it brings together Computer Scientists, Electrical, and Computer Engineering professionals, faculty, and students to share the latest information through technical sessions, tutorials, and exhibits. The conference hosts a series of student competitions such as Robotics, Drone, and Software competitions. The theme this year is space exploration and problem solving for the future in space. Founded by the Society of Manufacturing Engineers in 1986 as the Robotic Technology and Engineering Challenge under the guidance and inspiration of Tom Meravi and Dr. James Hannemann. Known as the National Robotics Challenge since 2005, this event is the longest continually operating robotics event in the United States and is the premier educational event for open-platform robotics competition. The Retail Analytics Council and Platt Retail Institute present the second annual Retail Robotics and AI Conference, which will take place on April 11-12, 2019, at the Hilton Orrington Hotel in Evanston, IL (next to the Northwestern University campus). The Conference will focus on implementing and executing retail AI strategies, as well as exploring emerging trends in retail robotics. The College of Engineering started Discover Engineering Days to introduce middle school students (grades 6-8) and their teachers to the various fields in engineering and the engineering programs offered at the University of Nebraska-Lincoln. Starting with Chuck, a collaborative mobile robot, 6 River Systems is building fulfillment solutions that power the winning warehouses of tomorrow. Come by the Walnut Library in So. 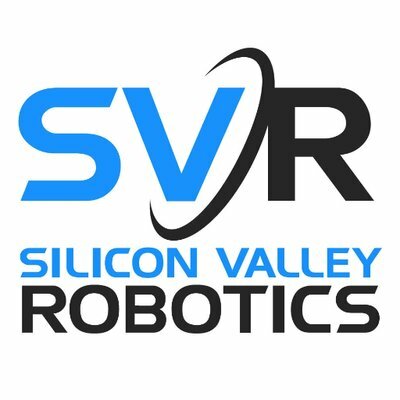 CA to see our robot in action and also meet our team! We are also recruiting for new members grade 7-12th for the 2019-20 season and would love to meet YOU! On Thursday, April 11, 2019, Mass Innovation Nights, Massachusetts’ leading monthly new product showcase, will launch 10 new products at UMass Lowell’s Innovation Hub in Lowell, MA. The event will feature a variety of tech startups across several industries including IoT, AI, and robotics. This is a three phase Challenge: Phase I: Build a robot that goes from one end of a table to the other and back, without falling off the table. Phase II: Have the robot push a block off the edge of the table. Phase III: Have the robot push the block into a shoebox mounted at the end of the table. he hit show BattleBots is back, where world-class fighting machines battle to the death in the hopes of winning the most prestigious prize in all of sports: The Giant Nut. Once again, we’ll be descending upon Long Beach, CA to do glorious battle in front of live audiences. We’ll have two ticketed sessions per day starting April 12 through April 22 culminating in the crowning of the 2019 BattleBots World Champion. Don’t miss the spectacle of live robot combat—get your tickets now! Kubo makes coding as easy as a puzzle! This screen-free game teaches the coding concepts such as loops, routes, and functions while encouraging team work and social skills. This class is free and open to ages 4-5 years. The class will be located in the Walmart Storytime Room from 10:30-11 AM. Registration begins March 22nd at 9 AM. In honor of National Robotics Week, the Advanced Telerobotics Research Laboratory is hosting an open house event at Kent State University. All ages are welcome. During this event, you will experience products of current advanced technology, understand how robots are built from both physically and in software, how virtual reality can change our way of life and how you can start with develop your own affordable robot. We will have live demonstrations and people will have the opportunities to interact with different robots, talk with our researchers and technicians regarding any robotics related topics. Simplify material handling from manufacturer to store shelf. By utilizing logic. With the combination of our proprietary software and mathematics we know the optimal way to store, select, pick, pack and ship products all while seamlessly integrating with an existing warehouse management system. This event encourages scientific discovery while providing the opportunity to learn about scientific careers from actual research scientists and science educators. Projects on display will include: Advanced Exercise Device, Exoskeletons, Llama, FastRunner, NASA’s Valkyrie, Atlas, Nadia humanoids. Founded in 2015 by the Piaggio Group, Piaggio Fast Forward creates lightweight, intelligent mobility solutions for people and goods. Our vision is of a sustainable mobility ecology with healthy lifestyles and social connectivity available to all, regardless of age or abilities. Visitors will get to meet meet gita®, the mobile-carrier that follows people on the go while transporting up to 45 pounds. gita promotes an active lifestyle designed for everyone. gita® is simple, easy to use and share, functional, and fun. It’s the sustainable high-tech solution for heading out into the world without having to reach for the keys to the car. Celebrate Robotics Week at Empow Studios with a robotics favorite: a friendly Sumo Competition! Building off a simple base, students will problem solve for the best combination of wheel type, strategic attachments, optimal programming, and speed of motors to experiment with their unique creations in a Sumo Bot competition. This is a collaborative environment for any skill level! Students will focus on a variety of build mechanics, which can help their robot lift their opponent and keep their robot stabalized. We start with a brief introduction to LEGO EV3 MINDSTORMS software and programming, and work with the students to explore curriculum in simple machines, engineering, and coding. The BISD STEM Center is hosting our first district wide Robotics Competition! Team Check in is at 8 am, Competition begins at 9 and award ceremony at noon! This is a regional robotics competition and showcase. Students in grades 3-8 participate in a series of tasks using the Lego EV3 robotics platform. Robot Day family event. Explore robotics together with demos and hands-on activities designed for kids and their grown-ups. Through the manufacturing process of Bot building, students’ imaginations are captured as they design, build and compete with their own robotic creations. Robofest is a festival of competitions and events with autonomous robots that encourages students to have fun while learning principles of Science, Technology, Engineering, and Math (STEM) and Computer Science. Students design, construct, and program the robots to compete in Junior Exhibition and Junior Game events. he 2019 Robotics Challenge will be held on Saturday April 13th, 2019 at the Great Sand Dunes National Park. A huge thanks to the National Park Service for the great forum to test and challenge our Robots. For the 25th consecutive year, robotics teams from around the world have gathered at Trinity College to compete in the International Fire Fighting Home Robot Competition, which advances robotic technology and knowledge by using robots as an educational tool. Students throughout the county will showcase their coding skills during the Scotland County Robotics Showcase. Students will work with teams to overcome robotics challenges that includes using sensors and moving with precision. All teams will participate in a Sumo Challenge. During the day, students at the high school will showcase their skills with the FRC robot. Among the STEM activities the festival includes multiple activities related to robotics, from understanding how they work, build one, and even program the electronics that use robots. Make Omaha is a family friendly, innovation and technology showcase celebrating local tech-driven makers, inventors and businesses who are using state-of-the-art tools in their work. This unique event provides an opportunity for the public to connect with the local maker community and learn more about the maker resources available at Do Space and in the greater Omaha area. Make Omaha is powered by Do Space in partnership with Metro Community College. RSSC is an exciting and fun experimental robotics society formed in the late 1970's around the time when many computer clubs where being formed. We meet once a month on the second Saturday of the month at CSULB.edu in the Engineering Technology building. We have lectures, competitions, events and show and tell sessions. We will be hosting robotics tours for several local high school groups at ASU’s Polytechnic School in Mesa. Please come by to visit our labs, learn more about our research, and see our robots! Girls in Robotics! is an event to promote female participation in STEM and robotics at our school. This action-packed day will focus on team building and STEM exploration. Students will work to design, construct, drive, and program a VEX IQ robot. The Human-Computer Interaction Lab at the University of Wisconsin-Madison is hosting an open lab even for individuals of all ages to interact and have fun with robots! In celebration of Robotics Week here at Code Ninjas Poway we will be showcasing to the public Codrones and Codey Rocky come in and see what robotics is all about. Demonstrations happening all day.